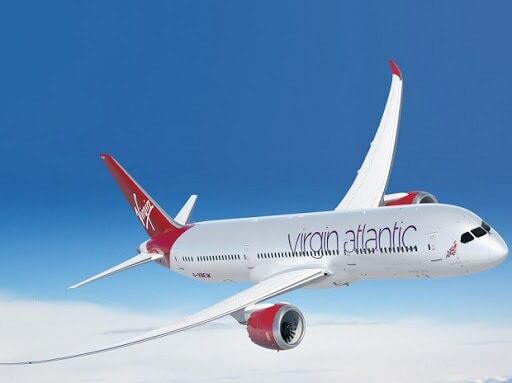 The airline Virgin Atlantic has decided that female cabin crew will no longer be required to wear makeup during flights. They will also be offered the option of wearing trousers as part of their standard uniform allocation rather than only on request. According to one Virgin executive, the move will “provide our team with more choice on how they want to express themselves”. That companies like Virgin continue to operate different policies for men and women might have come as a shock to those who assumed that discriminatory dress codes were a thing of the past. Yet research attests to the continuing aesthetic expectations governing the recruitment, selection, supervision and management of airline cabin crew. In fact, makeup policies are just the tip of the iceberg. Height-weight regulations, grooming manuals and gender differentiated uniform requirements are the industry standard – especially among airlines flying lucrative business travel routes. British Airways for instance, continues to require female cabin crew to wear makeup, and only allowed them to wear trousers in 2016. And while “no frills” airlines tend to be more relaxed about rules on appearance, Ryanair only stopped producing its calendar featuring bikini clad female crew in 2015. Virgin Atlantic demonstrated the importance of women’s bodies to its brand image a decade ago, in its 25th anniversary advertising campaign: Still Red Hot. Despite reducing the high levels of skill and training required of cabin crew to a retro-styled ode to the “trolley dolly”, the advert won industry accolades and much praise on social media. The actual demands of the job – ensuring the safety and security of passengers, taking control of safe evacuation in the event of an emergency – are often forgotten. Meanwhile, the Virgin Atlantic Sindy doll and the Ann Summers flight attendant costume, demonstrate how the sexualisation of female cabin crew remains firmly encoded in popular consciousness. One of the many problems with this is that making an employee’s appearance your business transforms him or her (and it is disproportionately “her”) into a spectacle. This effectively means they are working two jobs: the job itself, and the sexualised theatre of the job. An aesthetic economy depends upon (again, predominantly young women) aspiring to this. This means that the desire to be seen, to dress up, to “stage oneself” forms a practically limitless basis for exploitation and profit accumulation. Hence, like so many people (again disproportionately women) working double shifts, female cabin crew are relatively underpaid, enticed by the glamorous veneer of an industry characterised by low pay and high levels of sexual harassment. And while Virgin may have updated its makeup rules, its gender pay gap from figures published in 2018 suggest a median average hourly rate for women of 28% below that of their male colleagues. Women also count for 81% of the employees in the company’s lowest pay quartile. Flying the flag for equality? A Virgin spokesperson applauded the change of makeup policy as “significant” in an industry in which female crew are expected to invest considerable time and resources in maintaining the prescribed appearance, “adding to the costs and unpaid labour” associated with their jobs. Arguably this move is significant in so far as it formally recognises the centrality of this aesthetic aspect of the work involved. Certainly, incremental developments such as changes to uniform and grooming regulations are important formal steps towards addressing this. But they need to be understood in relation to two other important industry-wide factors. First, such changes have to be set against the wider historical context – a change in policy will never be enough on its own to offset the impact of years of discriminatory employment practices, and their wider ramifications for women across the industry and labour market. Second, while changes to formal policies are all well and good, they are arguably undermined by the very powerful visual images on corporate websites and advertising campaigns. These send out a clear and persistent message about who and what the company (and industry) values. Indeed, whatever commitment to equality Virgin may or may not have wanted to make was quickly unravelled by a tweet circulated immediately afterwards depicting the company’s new cabin crew apprentices. The female contingent, identically dressed in red skirts, ruby shoes and bold crimson lipstick, embodied the extent to which old habits are hard to break. Reading between the lines, what Virgin wants is not for women to wear makeup, but to recruit women who want to wear makeup, and who aspire to embodying the corporate brand and its reified versions of feminine sexuality. For those women who “choose” to wear makeup, Virgin offers a template of corporate colours and websites replete with “painting by numbers” photographs of cabin crew who are, presumably, highlighted as ideal examples of how to be the face of the company. The message is loud and clear: you don’t have to look like this, but we’d really like you to. And more to the point, we’d like it to be not because it is what we want, but what you want. As a mode of self-discipline this makes the policy much more effective – Virgin is able to recruit only those people who want to embody the corporate brand, as it is narrowly defined yet ubiquitously, idealistically depicted. And as industry leaders, other airlines emulate this as an ideal to aspire to. The decision to allow female employees to go makeup free is a welcome development, but it is a baby step. What is really needed is a great big leap of faith towards the seemingly radical idea that people’s worth might relate to more than how they look.